You may not often think about how garbage impacts your daily life. But the truth is, our industry is often newsworthy! From changes in the recycling industry to new ways of minimizing greenhouse gases, the waste and recycling industry is making headlines. Recent news articles featuring the Vogel Holding, Inc. family of businesses are collected below. 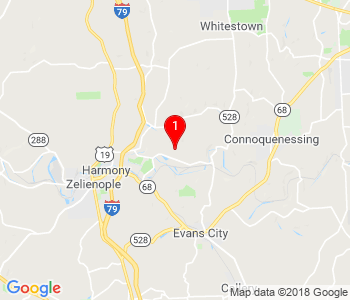 Work is progressing on a new liner system at the Seneca Landfill, and Tri-County Industries Inc. is hoping to install the same setup on its property. This feature explains what is in the works at both facilities. Read the full article here. 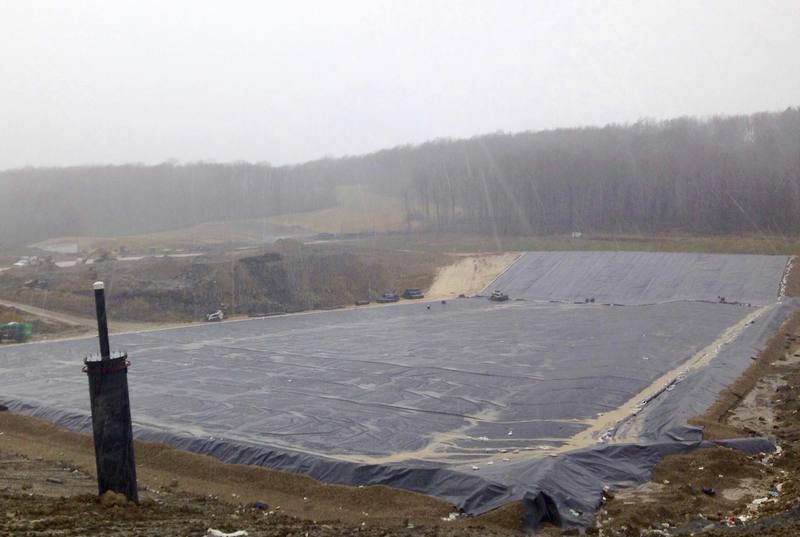 The Tri-County Landfill re-opening will allow for substantially lower costs while also creating new jobs in the area. Our commitment to both the community and the environment remain central to this plan, which was covered by Allied News' Monica Pryts in a new feature on the project. 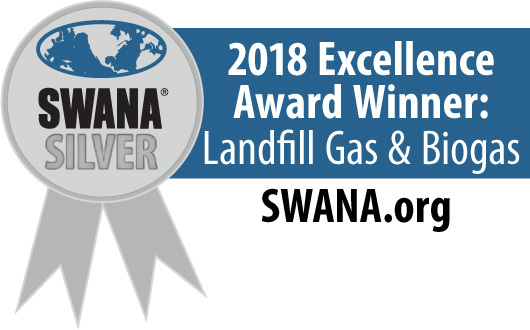 The Lego-V CNG Facility at Seneca Landfill received a front-page feature for winning the 2019 PA Governor's Award for Environmental Excellence. The station converts the landfill's methane into compressed natural gas, which is then used instead of diesel to fuel trucks. The CNG station helps close the loop and reduce carbon emissions. 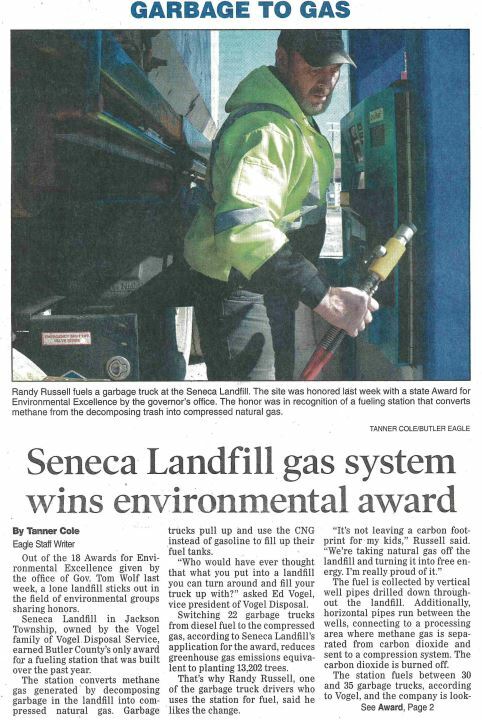 Of the 18 award recipients, Seneca Landfill's CNG station was the only winner from Butler County. The feature can be read by Butler Eagle subscribers here. 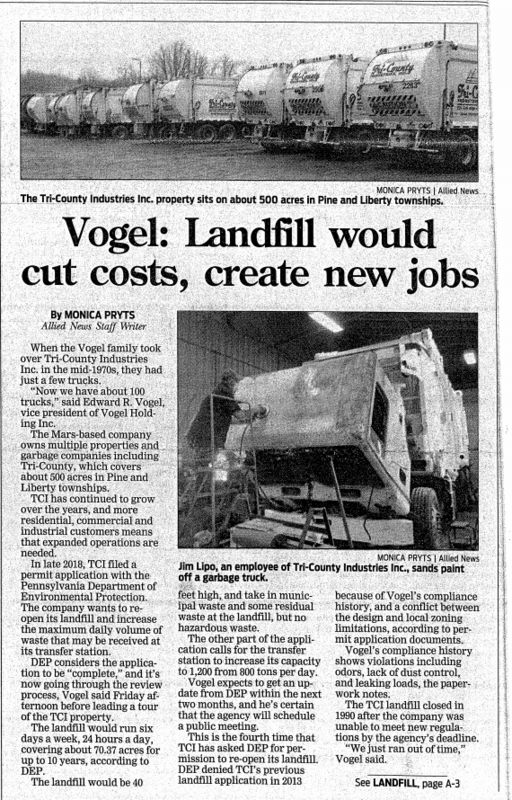 For more news from the Vogel family of businesses, read our blog.